Bringing a new employee into your IT department has the potential to make or break your team. Avoid these common hiring mistakes and build a team of IT pros that fire on all cylinders. Bringing a new hire into you IT department is a double-edged sword. On the one hand, he could be just the right fit to boost your output and help reach business goals. On the other hand, he could have a negative effect that results in missed deadlines or a decline in morale of your entire IT team. That's why finding the right candidate is so important. As a hiring manager, you need to do everything you can to minimize the risk throughout the hiring process. Here are 12 common mistakes IT managers make, along with advice on how to take a more successful approach. 1. Not being well-prepared for the interview. Let's face it: Most managers are busy people, which can lead to a common IT hiring mistake. According to Ron Lichty, co-author of "Managing the Unmanageable," most hiring managers don't adequately prepare for interviews. "The typical hiring manager reads the resume on the way to meet the candidate. That's not preparation," says Lichty. 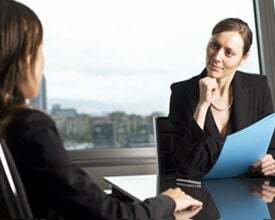 A job interview can be a subjective situation from both perspectives. As a hiring manager, you need to be sure you are weighing all your candidates against the same criteria. If you've done a good job with your description, you should be able to use that to help measure one resume or candidate against another. Another important mantra for IT hiring managers, according to Licthy: Always be hiring. "To be effective at always recruiting means being out in the technical community meeting potential hires, staying connected with your network and building relationships," says Lichty. 2. Not performing a phone interview. Not screening candidates is another mistake that managers make early in the hiring process. In a previous CIO.com article on identifying superstar developers, director of recruiting at Lextech Chad Lilly discussed the importance of using this time to weed out candidates who wouldn't make it through the interviewing process. Many times a 20-minute call can save you hours of interviewing and ensure the people who actually make it to the interview are qualified. 3. Having an interview instead of a discussion. "The interviewer should focus on asking experience-based questions. Managers should dig deeper than the typical "what are your strengths and weaknesses'," says Paul Silvio, senior vice president of Modis, an IT staffing firm. Modis, for example, has a format where instead of interviewees just saying they worked on a certain project, prospective employees must explain their individual participation and what they were able to make, save or achieve for the company. 4. Not getting programmer candidates to demonstrate their coding prowess. "It's essential to ask questions that elicit a picture of their understanding of programming. It's critical that you ask them to do some design and to write some code," says Lichty. This will give you insight into how the prospect will react and problem-solve in the world of IT. 5. Not having career paths for employees. While this might not seem relevant to this article, it is. "Career Mapping is probably the most important management tool we use internally. Figuring out where someone wants to go and will be successful is one of the most important frameworks we use for promotion trajectory and managing folks over time," says Michael Rosenbaum, CEO of Catalyst IT Services. The reason: To get the best talent you have to have something to offer. If you can demonstrate a clear path for advancement, it will make it that much easier to attract and retain talent. Another important note: While many IT pros are happy to follow the beaten path for advancement, management isn't for everyone. If you are career-mapping it's important to include a career map that doesn't take the typical management path, says Tracy Cashman, partner and general manager in information technology with WinterWyman. Going from a programmer to an architect is one example where a programmer is getting more responsibility but not necessarily performing management responsibilities. "It's critical to have both paths outlined to appeal to both sets of employees," says Cashman. 6. Restricting your search to job boards or recruiters. "Sometimes the right person is already in the organization and with a little TLC and training you can get them where you want them to be. That and they are already a known quantity," says Cashman, who notes that it's good for retention if employees feel like there is a good probability they will be promoted because the company promotes and hires from within. 7. Not motivating everyone in your organization to refer candidates, and not giving employee referrals special attention. "Every study we've seen supports our experience: Good people recommend other good people. And you get a built-in reference, usually with contact information for other former colleagues who will vouch for the candidate as well," says Lichty. Put your job postings out there to your peer network and reward employees for referring good new hires. "We have a very active employee referral program. Our most significant source for new folks is people who know an existing employee," says Rosenbaum. 8. Setting the bar too high for a new hire. Many companies are guilty of waiting too long while searching for a proverbial needle in a haystack, according to Cashman . "Despite the fact that it's difficult to find qualified technical people, some companies are still keeping the bar extraordinarily high. If they've got a laundry list of 10 items, they want all 10 [and] they aren't willing to settle for five and a great personality; they want everything" says Cashman. 9. Taking too long to hire a new employee. "It cost money not to hire," says Cashman. If you're not producing a certain application or your resources are overloaded because you haven't brought on that new developer, it can affect your bottom line. "People get wrapped around the axle trying to find the perfect profile instead of the best athlete that's available to them," says Cashman. 10. Creating a poor job description. The job description and profile will be the device that brings many applicants to your door. Not taking the time to do this right can cost you in hours, patience and dead-ends. Take the time to carefully think through and write the job posting. "It should be specific about what you're looking for to discourage the unqualified [and] broad where you're open to a wider set of talents. Don't ignore "soft skills" when crafting your job descriptions and during the interview," says Lichty. If your job description isn't interesting, who will want to read it? "Make it read like an ad," says Cashman," Most people want to see something in writing and it's important that it sells. Maybe they are going to learn a new technology or get experience in a certain line of business. 11. Not making recruiters your best friend. "Staffing will play more of a role in your success than any other group. Make internal recruiters your friends. Learn to explain what you're looking for in their lingo," says Lichty. Cashman's advice: "Be clear about what your nonnegotiables are, but be realistic and give feedback." Talk to recruiters on a regular basis and give them the rundown after interviews. For example, offer this type of feedback: "The last person you sent was a perfect fit via skillset but wasn't a great culture fit. We are looking for someone who works better on a team than in a silo." 12. Ignoring the culture fit. Someone may have all the qualifications and seem like the perfect candidate on paper, but if he doesn't fit into your corporate culture than you may very well be having to go through this whole process again before too long. "What you're really looking for is someone who is going to thrive over time, says Rosenbaum. Lichty's advice: "While the rule is that good people recommend good people, always, always, always listen to your gut." The important thing is to learn to fail fast. If you make a mistake in hiring, identify it and fix it, which doesn't always entail terminating the person. If you've decided you made a hiring error ask yourself, what's the problem? Is it a cultural misfit? If that's the case, then, yes, you probably want to get rid of that person. However, if it's a skills issue, consider whether there may be another place in your organization where that person can excel? You've already put the time, resources and effort into hiring this person, so don't let it go to waste. What common IT hiring mistakes have you seen made? We'd love to hear about them.